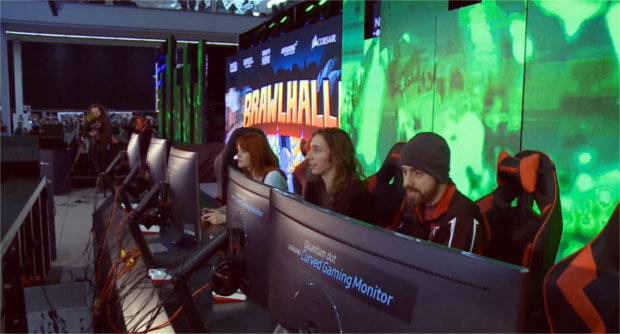 Two giant tournaments were held for Brawlhalla at PAX Arena on Saturday, March 11th, this past weekend at PAX East in Boston, Ma. 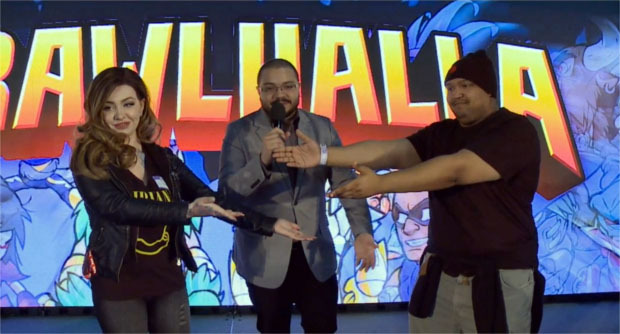 The 2v2 Trial by Fire event pitted four teams of two streamers against each other in a round robin tournament, each being coached by a designated Brawlhalla pro player. Afterward we saw the semifinals and grand finals of a 128-player single-elimination fan tournament play out on the main stage. Both events were nail-biters! In the Trial By Fire, two teams remained undefeated throughout and had to face off in the final match to determine the winner: TKBreezy & DizzyDizaster vs. Fats & VesperVonDOOM. In the end, VespeVonDOOM & Fats came out on top with an impressive performance that brought the audience to an uproar! 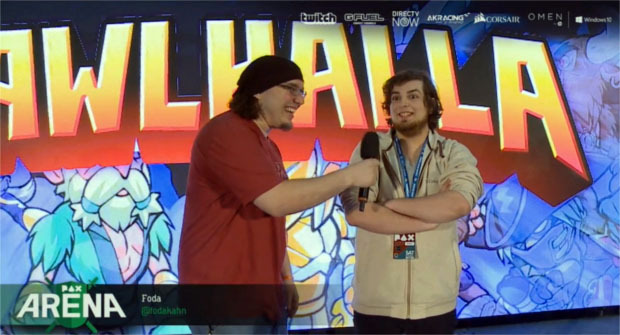 The Grand Finals of the fan tournament was incredible as well. The crowd favorite, Th3Ethanator made it to Grand Finals (to no one’s surprise) but was met by an unknown formidable opponent, imJayson, who ended up winning in the last possible game of the match with both players at 1 stock in deep red! You can watch the entire stream of the event on the PAX Arena Twitch channel here. Team TKBreezy & DizzyDisaster coached by Drop at the Trial by Fire. Team GimR & Sodakite coached by Gamefiend. 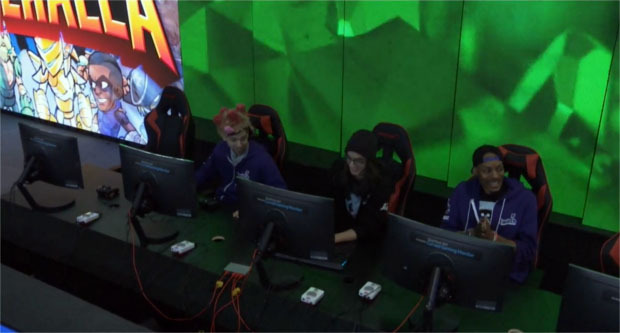 Host Goldenboy with winning team VesperVonDOOM & Fats. 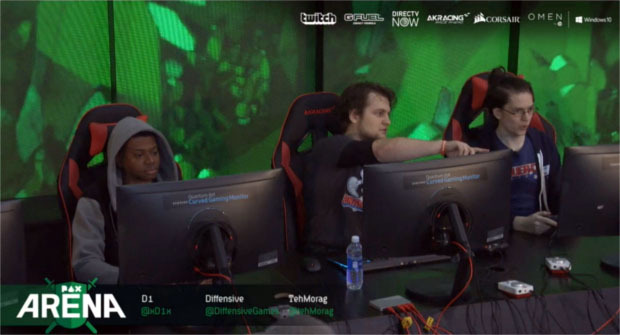 Team D1 & TehMorag with coach Diffensive. 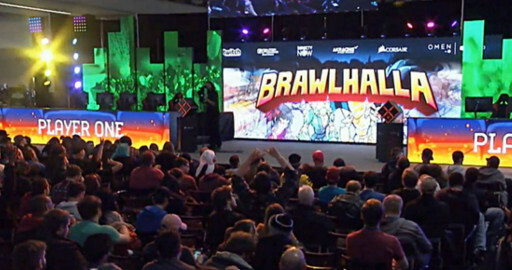 The crowd at the PAX Arena Brawlhalla stage was awesome!